The functionality we can describe as follow. - Shipping and Payment method setup in one window. Step 2: Upload it to code directory in your Magento installation’s app directory. 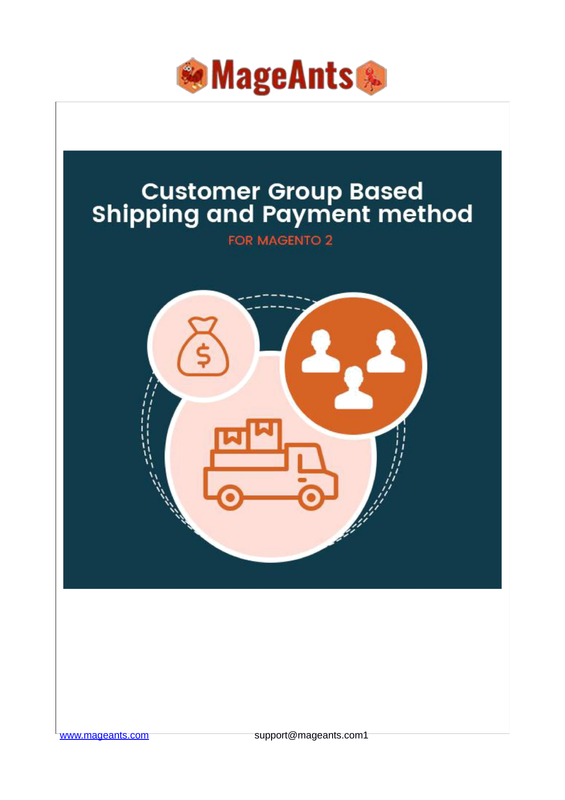 Customer group based Shipping and Payment Method. Grid of All the configuration for apply the Shipping and Payment Method. for the particular Customer Group. => Following screen shot display all the configuration which is configure by admin. and payment method for the selected customer Group. -> Admin need to select the Website for apply the configuration. -> Select the customer Group for Apply the configuration. -> Select shipping and Payment method for apply to customer Group. customer Group to apply Shipping and Payment method. Shipping Method Selection for current customer Group.